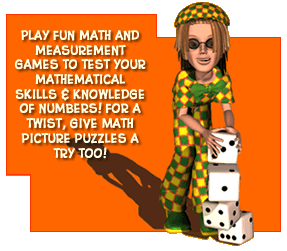 FREE MATH GAMES FOR KIDS - Fun and challenging math games and puzzles! Play these fun free educational kids games online! Some math games and work sheets are printable too! *Online games may not be downloaded or used on other websites. *Printable activity pages are for non-commercial and educational use only. Please enjoy!